Fire and gas only need one spark. At forty-five years old, Olin wants more than the mind-blowing addiction of his on-again-off-again relationship with Ashley. He's not satisfied only getting his sweet reward whenever Ashley calls the shots. He's putting his foot down. 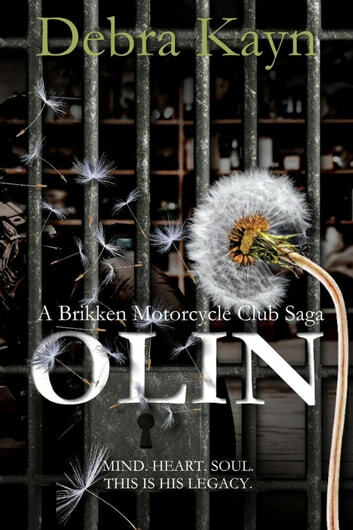 Like Rollo, Chief, and Jett, it's time for Olin to strengthen Brikken Motorcycle Club and settle down. He wants Ashley in his house, having his babies, and letting him take care of her. She's the one for him, and he's ready to dedicate the rest of his life to her. As a child of divorce, Ashley lacks faith in men to stick around and be faithful when the road gets rocky. Though her love for Olin has remained steady since her teenage years, their relationship has more than the average ups and downs. But, Olin has proven himself time and again, and she isn't getting any younger. Pushing all the what-ifs and fears to the side, she fully commits to him and their dream for the future. Except, nothing is ever easy when she's with Olin. Before she can accept the changes and hope for their life together, her nightmare starts in a flash of blue and red lights. What she soon faces is something no woman should ever have to experience. She sacrifices mind, heart, and soul for someone more important than her. Through the devastating pain, she must find the strength to resurrect herself and hope the man she's always wanted will still love her.